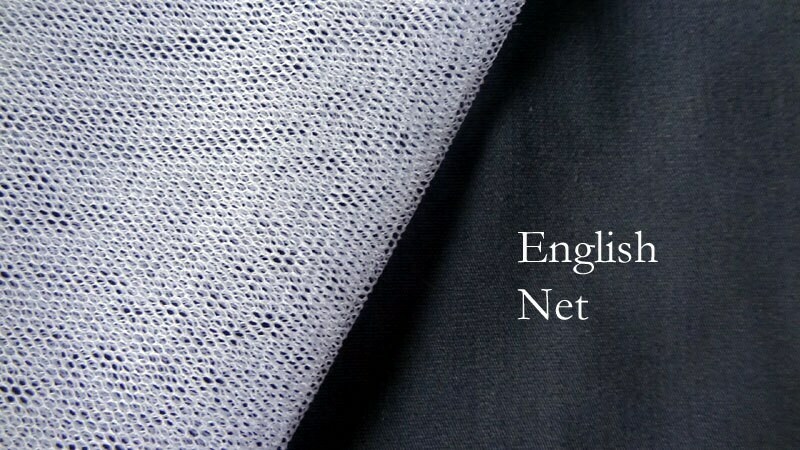 English net veil with a cut edge. 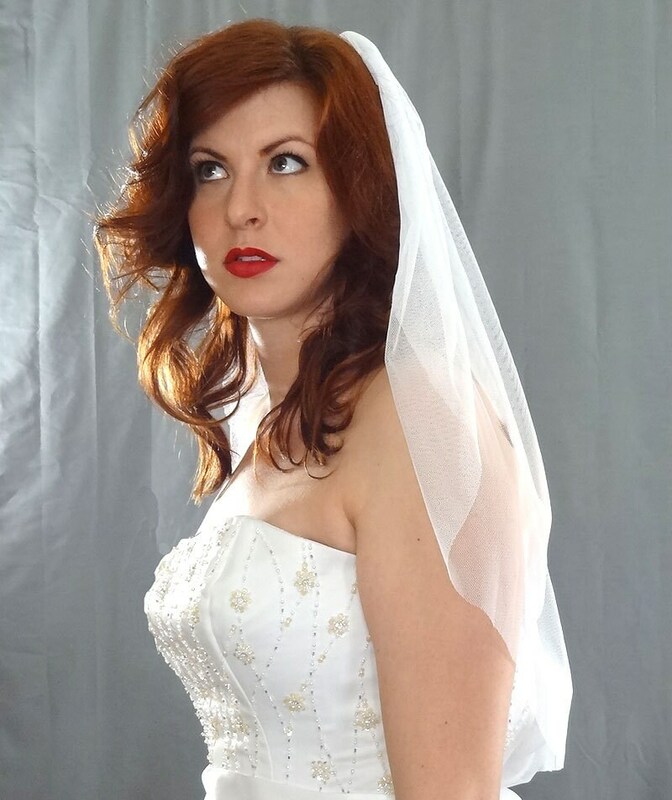 English netting is soft in texture and translucent and lays down beautifully as an option for a bride seeking a less voluminous wedding veil. 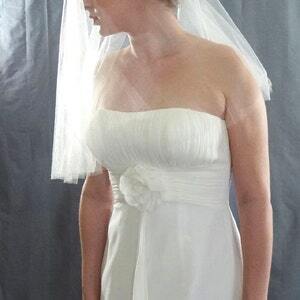 Available in several wedding veil lengths and one or two-tier, 55" width. All of our veils are attached to flexible metal wire combs. Available in white or ivory. Made to order.